We are entering into the time of year when every student is trying to scrounge up every scholarship opportunity that they can come across to help reduce the college expenses that they are expected to face in the coming academic year. 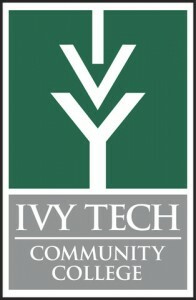 Ivy Tech Community College (located in Fort Wayne Indiana) received an accolade from CheapScholar.org when they rolled out their 1 year associates degree program. Now I would like to bring attention to their recent scholarship contest that could equate to free college tuition for one student for the 2010-2011 academic year. The video that has the most views by August 1st, 2010 will be eligible to win a $3000 tuition scholarship (enough to cover a years tuition). Second place will get $2,000 and third place will get $1,000. The contest officially began on April 15th but you still have plenty of time to enter and win this free tuition money. This a great opportunity for students needing extra scholarship money and it is a wonderful way for Ivy Tech to get some viral marketing depending upon the caliber of the videos submitted on YouTube. I have written many articles related to finishing your bachelor’s degree in three years (or quicker). Some of the approaches I brought to light were through the use of traditional 3 year programs offered at various colleges and universities. Other techniques required some extra work (and planning) before and during college. The end result is a quality education at a bargain price because you shaved some extra semesters off the length of your program. Everyone has always focused on shortening the time frame for getting a bachelor’s degree but a community college in Indiana is applying the same principle to the associates degree. Ivy Tech, located in Fort Wayne Indiana, has developed an accelerated associate program that will graduate small cohorts (12 – 20) of students within a one year time frame. This program is cited as not being for the academically challenged and is working with local guidance counselors to identify students that are “college ready” and expected to excel within the framework of how this curriculum will be executed. The concentration of studies will be in Health Care Support, General Education, and Computer Information Systems. This program is being backed by a $2.3 million dollar grant by the Lumina Foundation and a $270,000 grant provided by the Indiana Higher Education Commission. The overall goal of the one year associates degree is to help increase graduation rates and reduce costs for the students. Seems like a great idea to me… Get your associates degree in a year and if you are eager, transfer the credits to a bachelor degree program. Either way, it is a great way to help save on education costs and complete your degree goals ahead of schedule. For more information, you can visit Ivy Tech Community College online here.